In this blog, we could only highlight a few of the remarkable women leaders whose organizations, programs, and projects Democracy Fund is proud to support. We hope you’ll take some time to explore the complete list below. By working to improve our elections, hold our government accountable, combat hate, and open doors for the next generation, these women are making their mark on American history right now—and our democracy will be stronger because of them. You can find the original version of this article on Democracy Fund’s site at www.democracyfund.org/blog/entry/celebrating-women-who-are-making-democracy-stronger. Making the decision to seek the IAF Certified Professional Facilitator (CPF) accreditation can be hard. Common questions people ask are What’s involved? How much time will it take? Will I meet the requirements? and What if I don’t pass? In response to strong interest from members we will be exploring these questions at a webinar with hosts that have years of experience as professional facilitators and as IAF Assessors. Along the way, we’ve been surprised to see how much of a desire there is for political content that’s nonpartisan and educational. Reading comments from our listeners around the world makes me feel hopeful about the work that NCDD is doing to bring people from across the political spectrum together to tackle some of our most pressing issues through conversation. In the coming weeks, we’ll be talking with Tim Shaffer about the new book “A Crisis of Civility?’ and Srdja Popovic, founder of Serbia’s Otpor! movement, about how to organize in turbulent political situations. New episodes are released each Monday at democracyworkspodcast.com, along with Apple Podcasts, Spotify, and many other podcast apps. We hope you’ll check it out, then get in touch to let us know what you think and who we should be talking to next. Happy listening! You can find the Democracy Works podcast at www.democracyworkspodcast.com/. From Feb. 21 to March 22 at 11:59 p.m. ET, we are inviting people to nominate their candidate of choice. Individuals can also nominate themselves. Those who choose to nominate a candidate are encouraged to alert the nominee about the opportunity. We seek fellows with an exemplary track record of crafting public spaces—trails, parks, plazas and streets—that create opportunities for connection and civic engagement. The fellowship is open to a wide range of talented civic innovators with experience in urban design, planning, architecture, landscape architecture, engineering, government, technology, policy and programming. Individuals with exceptional talent and leadership qualities who craft, develop, design, plan, manage and implement the use of public spaces to build the type of communities where people want to live and work are eligible to apply. Fellows must show potential to create larger, innovation and strategic momentum within the community. Support: A small group of fellows will share up to $1 million grants which can be used for innovative, flexible projects, distributed over approximately two years. Network-building opportunities: Support to work directly with peers and other experts who are passionate about using public space to transform communities. Mentorship: Insight and guidance from experts to refine ideas and new thinking around public space work. Public exposure: Fellows will be invited to present at Knight-supported events and other gatherings, and given opportunities to publish and share their work. If you have questions about the application, you can watch a recorded informational webinar. For additional questions, please email psfellows@kf.org. Follow #knightcities on Twitter for updates. You can find the original version of this announcement on the Knight Foundation site at www.knightfoundation.org/challenges/public-spaces-fellowship. In case you missed it, NCDD member org Everyday Democracy, recently announced they are accepting nominations for the third annual Paul and Joyce Aicher Leadership in Democracy award! 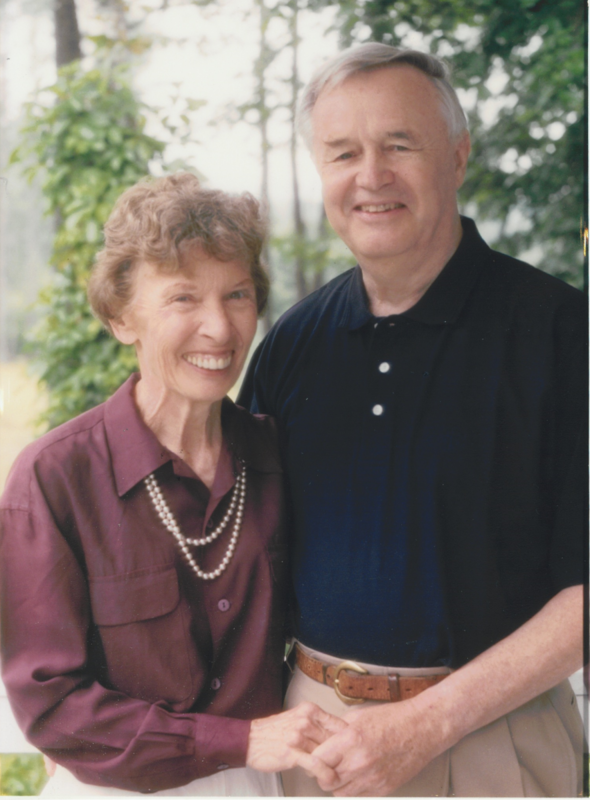 The $10K award will be granted to those 16 and older who embody the values of Paul and Joyce Aicher. Nominations are due April 15th, so make sure you get yours in ASAP! We encourage you to learn more about the award criteria and how to submit a nomination in the announcement below and on the Everyday Democracy site here. Who comes to the top of your mind when you think about exceptional people or local organizations that create opportunities for people to talk to and listen to each other, work together for equitable communities, and help create vibrant communities that work for everyone? Show how much you understand and appreciate their contribution to society by nominating them for the 2019 Aicher Award! For more than 25 years, Everyday Democracy has worked in communities across the country to foster a healthy and vibrant democracy – one that is characterized by strong relationships across divides, racial equity, and widespread leadership and voice. Paul and Joyce Aicher’s generosity and creative genius have had a profound impact on individuals and organizations in every part of this country. Their passion and diligent effort inspired the dialogue guides, organizing and facilitating training, and community coaching that Everyday Democracy is so well known for delivering. In 2017, we launched the inaugural Paul and Joyce Aicher Leadership in Democracy Award to carry on their legacy after the passing of Joyce Aicher. Our 2018 award winner was Beth A. Broadway, President of InterFaith Works of Central New York, who has worked for more than 40 years as a force for justice, raising voice to issues of oppression and advancing racial and social equity through the process of dialogue and action. Her racial equity work has directly impacted thousands of individuals and families and has markedly improved Syracuse and surrounding communities. Learn more about Beth’s extraordinary work here. Read more about past honorees. Nominations are due April 15, 2019. See below for full details about eligibility and the nomination process. We can’t wait to see your nominations! The recipient of the Paul and Joyce Aicher Leadership in Democracy award will receive $10,000 at the award reception in December 2019. Finalists will receive one day of community assistance to help them implement Everyday Democracy’s principles into their community engagement work. Individuals 16 years of age and older, coalitions, and organizations conducting projects at the community level in the U.S. are eligible to be nominated. Organizations do not have to be a registered 501(c)3 and do not need to be affiliated with Everyday Democracy or its Dialogue to Change process to qualify. Current Everyday Democracy employees and board members are excluded from being nominated. People/organizations may not nominate themselves. If you wish to be considered for the award, please encourage a colleague or friend to nominate you. Anyone may nominate any person or organization that meets the criteria for this award. You will need to provide contact information for yourself and your nominee, a short summary of their work, and a description of how they embody our values in a 500-1,000 word essay that provides examples of specifically what they have done. Send this completed nomination form to aichernomination@everyday-democracy.org and cc the nominee. The nomination form is due April 15, 2019. We will confirm the nominations when they are received. Nominees will be asked to supplement their nomination with evidence of the things they have done that demonstrate how they exhibit our core values. Supplemental information is due by May 15, 2019, at 11:59pm ET. Submissions will be evaluated by a panel put together by Everyday Democracy. Once a final decision is made, the winner and others will be notified. Paul J. Aicher’s motto, “Don’t just stand there, do something,” marked all that he did. Before founding the Study Circles Resource Center (now called Everyday Democracy) in 1989, he was a model for civic engagement. Shortly after graduating from Penn State, he participated in a discussion course which helped him find his voice in civic life and sparked his lifelong interest in helping others find their own. He saw a direct connection between his early experiences as a participant and a facilitator and his later vision for embedding these kinds of opportunities into American political life and culture. Throughout his life, he spent his free time volunteering. Early in their marriage, he and his wife Joyce got involved with a refugee resettlement project in Illinois; Paul then served as president of the North Shore Human Relations Council. Back in Pennsylvania in the mid-1960s, he started the World Affairs Council of Berks County and led his neighbors in discussions of the “Great Decisions” guides published by the Foreign Policy Association. Through his long-time work and friendship with Homer Jack, an American Unitarian Universalist clergyman and social activist, Paul developed a passion for racial justice and international peace, both of which would inspire his later social action. In the 1970s, he devoted his energies to launching his company Technical Materials and raising four children with Joyce. But he always returned to activism. In the early 1980s, after moving to Pomfret, Connecticut, Paul joined the local anti-nuclear freeze movement. In 1982, he formed the Topsfield Foundation, which was renamed The Paul J. Aicher Foundation after Paul’s passing in 2002. It began with making grants to advance a number of causes: affordable housing; educating and engaging the public on international security issues; and networking grass-roots peace and justice groups across the U.S. As it became an operating foundation, it focused all of its efforts on its current mission – to strengthen deliberative democracy and improve the quality of life in the United States. In the past twenty-five years, it has been best known through the work of its primary project, Everyday Democracy, which supports communities across the U.S. in implementing Paul’s vision of public dialogue that enables everyone to have a voice and be heard. Joyce shared Paul’s commitment to civic engagement, community activism, and social justice. With her quiet strength and humor, she often worked behind the scenes to make the work of the Foundation possible. She also strengthened the local community through her numerous volunteer efforts. She and Paul shared a love of nature, books, and the arts and were self-effacing advocates of democratic values. Joyce passed away in 2016. You can find the original version of this Everyday Democracy announcement at www.everyday-democracy.org/aicher-award. Space is limited to 12 people so that we can offer a more interactive experience. Please only RSVP if you are 100% certain that you can attend. This training will take place using Zoom videoconferencing. A link to join the conversation will be sent to participants by Wednesday 10am (PT) / 1pm (ET). Living Room Conversations webinar – American Culture: Melting pot or salad bowl or something else? Join us for a free online (using Zoom) Living Room Conversation on the topic of American Culture: Melting pot or salad bowl or something else?. Please see the conversation guide for this topic. Some of the questions explored include: What is your cultural heritage? Have you experienced cultures other than your own? What did you appreciate? What made you uncomfortable? What value do you see in having a single, shared American culture? What would that culture look like? A new Congress means new committee and subcommittee chairs, new alliances, and significant changes in the political terrain on Capitol Hill. With the shift in power, and term limits for committee chairs in the House and Senate, an advocate who may have been represented by an anonymous back-bencher last year might now be the conduit to the most important legislator for your cause. This webinar will offering a snapshot of the 116th Congress, offering participants a window into how to build relationships with lawmakers. The presentation will be conducted by Bradford Fitch, President and CEO of the Congressional Management Foundation (CMF). Join the National Civic League to learn more about how two All-America Cities are bringing their communities together to address student health with in-school interventions. Susan Witkowski, CHCQM, CEO of Community Medical Clinic of Kershaw County will discuss the offerings of their school-based health center. Lisa Campbell, CEO of Create a Change in Las Vegas, NV will discuss their Healthy School, Healthy Life Program. Foundations and funders committed to building healthier, safer, and more equitable communities may be overlooking or undervaluing a key strategy: youth civic engagement. In light of recent findings from PACE’s Health & Safety working group, this webinar will highlight why and how investments in youth civic engagement can be key to improving community health and safety. The event will illustrate specific ways funders can support youth civic engagement, share stories and case studies of successful health and safety initiatives involving youth, and explore how incorporating youth into health and safety strategies can have an impact on equity in community outcomes..
Today, seemingly more than ever before, it is important that we as American citizens of all stripes, take a step back followed by a step forward. Step back from our comfort zone and routine, step away from our smartphone screens and social media scrolling and step forward towards someone new, engaging and connecting with genuine curiosity. This is how we grow both as individuals and as a society. This is how we better understand the hurt we might actually be able to help heal. This is how we understand American struggles beyond simply those we experience within invisible border walls of our own communities or those we learn about in the echo chambers of our like-minded social media connections. This is the only way we understand our best way forward, together. These uncommon steps are far from easy. So an entire movement has formed where we, hand-in-hand, walk each other into greater connection and understanding. Republicans and Democrats. Jews and Muslims. Majority and minority. In the middle of the chaos, we enter into difficult yet rewarding conversations where we #ListenFirst to understand each other. And somewhere within that, we see behind the angry social media posts and opposing votes and comments taken out of context and realize we are all human. We realize we all have stories worth open ears and struggles worth another helping hand. This year, April 5th – 13th, this #ListenFirst movement is joining together during National Week of Conversation to rally Americans to take these steps together. National Week of Conversation is a bold annual occasion when people with diverse perspectives #ListenFirst to understand. Through in-person and virtual conversations exploring any topic of interest, people of all stripes intentionally convene with the goal of mending our frayed social fabric and revitalizing America together. We are encouraging everyone and anyone to reach out to neighbors, family and friends, and form your own conversations. To connect with this sweeping cross country movement, you can host or join a conversation during NWOC 2019, April 5-13. Use the #ListenFirst hashtag to invite others! One week. One week to step back from routine work schedules and routine interactions. One week to step away from excuses and prioritize your concerns about our future. One week when we can step forward – towards each other, with each other and for each other. What is your excuse for standing back or standing still? Please join us for National Week of Conversation and practice what it means to #ListenFirst. You can learn more about the National Week of Conversation at www.nationalconversationproject.org/. Not getting the results you want from your public engagement efforts? Enroll in the Institute for Local Government’s (ILG) TIERS Public Engagement Learning Lab and receive customized coaching and learn a step-by-step framework to successfully plan and implement your next public engagement effort. This comprehensive training and coaching program is available to any city, county, special district and can apply to a variety of efforts ranging from housing and climate change to budgeting and public safety. ILG will be hosting a TIERS℠Public Engagement Learning Lab on April 25-26, 2019 in Danville. Learn more about the TIERS Public Engagement Learning Lab, pricing and future training opportunities here: www.ca-ilg.org/tierslearninglab. The TIERS Learning Lab is a comprehensive training and coaching program from ILG that provides local government teams of 2-5 individuals with hands-on instruction and coaching on the TIERS Framework. By participating in the TIERS Learning Lab, staff and electeds will learn how to utilize, customize and implement the TIERS tools and processes. The TIERS Learning Lab will help you build and manage successful public engagement in order to support local government work, stakeholder input and project success. Register Now for April 2019 TIERS Public Engagement Learning Lab! You can find the original information of this training on ILG’s site at: www.ca-ilg.org/TIERSLearningLab. Direct democracy approaches, including Citizens Juries, invite “everyday” people (like you, your neighbor, and your grandma) to participate. By using our incredibly different life experiences and personal expertise to shape public policy, we can create a more representative, transparent, and trusted democracy. Average citizens have an incredible resource too often overlooked: their unique expertise. In the current Congress, 96% of House members and all senators have a bachelor’s degree or higher. But in 2017, only about a third (34%) of American adults 25 and older said they had completed a bachelor’s degree or more, according to Pew. But education and degrees shouldn’t determine your contribution to democracy. Most of us have been shaped by our work, travel, volunteering, relationships, and more, in addition to traditional schooling. Within a Citizens Jury, you’ll find people of all education levels working together to create recommendations to a given challenge. Participants have the rare opportunity to listen to one another, hear different perspectives, build off one another’s ideas, empathize, and establish common ground. This helps Jurors create recommendations that utilize one another’s expertise and experiences, and are more representative of the population as a whole. Last summer, we conducted a Citizens Jury in the Forest of Dean, United Kingdom. Two local hospitals, which were closely intertwined with the community, were set to close. The National Health Service wanted to hear from residents on where a new, centrally located hospital should be built. Citizen input isn’t always clearly invited (or even welcomed) by representatives in similar situations. People may not be able to travel to their representative’s office, and if they do get there, their representatives might be booked or have other issues on the agenda. In the Forest of Dean, while the closure of the hospital was a sensitive topic for many, a Citizens Jury helped create a recommendation for the location new hospital that was actually trusted by the wider community. Getting informed on local, state, national, and global issues can take a lot of time that many people simply don’t have. Citizens Juries, meanwhile, pay people to participate and cover things such as childcare expenses, so participants can more easily take time to participate. Juries also make participation easier for young people. In the United States, Senators have to be at least 30, and House Representatives must be over 25. And even though people younger than 25 will obviously be impacted by many of today’s issues, barriers such as moving often, work, and difficulty registering to vote all present big obstacles to civic participation. Citizens Juries typically invite participants 18 and older, providing much needed insight into these missing perspectives. Instead of the policy issue at hand, politicians might be focused on winning the next election, gaining favorable public opinion, or keeping campaign funders happy. But your average person isn’t usually worried about these issues. And if there’s ever extra pressure felt by Jury members from their peers, participants can remain anonymous. The experts that inform Jurors about the topic don’t advocate for a specific stance, but provide neutral background information for participants to reference. This sets the stage for more trusted policy, as Jurors made their decision based on high quality information and a transparent process. Wider citizen participation can complement representative democracies around the world: we’d more fully capture the range of citizen ideas and hear from underrepresented groups. Officials would have a much clearer picture of what the public thinks on complex issues, instead of just hearing from the loudest voices in the room. Although Citizens Juries don’t always create immediate policy adoption, the recommendations guide legislation and community initiatives. These recommendations aren’t influenced by money or power, but represent the aspirations, interests, and needs of everyday people, creating a stronger democracy we can all believe in.